1. 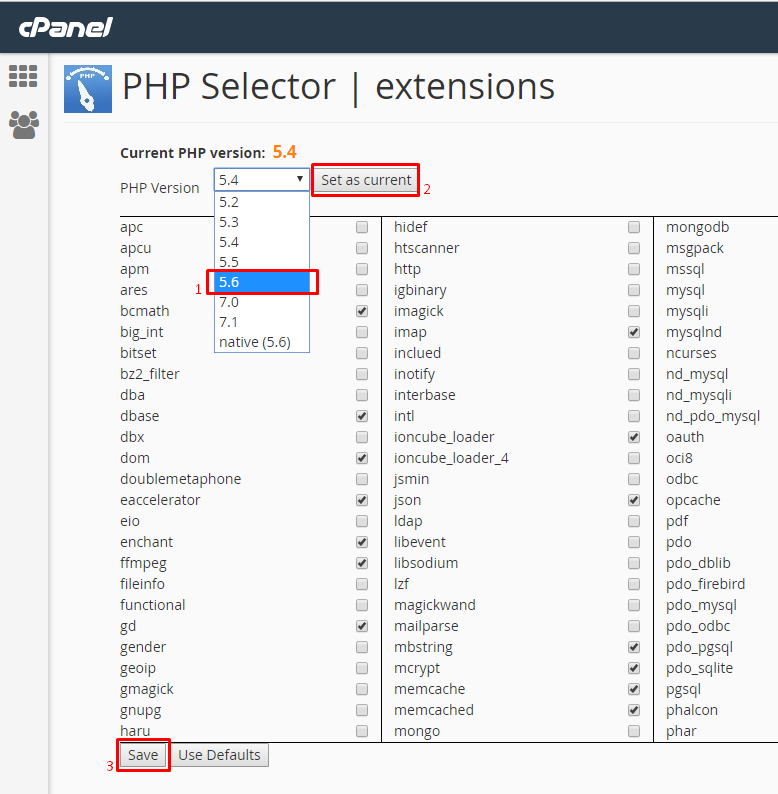 Log in to cPanel https://ip:2083 --> click on "Select PHP Version"
3. Click on "Set as current" and then on Save to store your changes. 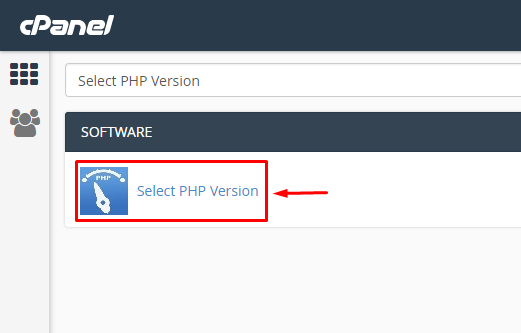 Note: Before you change PHP version of your website make sure that your web application/website is compatible with target PHP version.